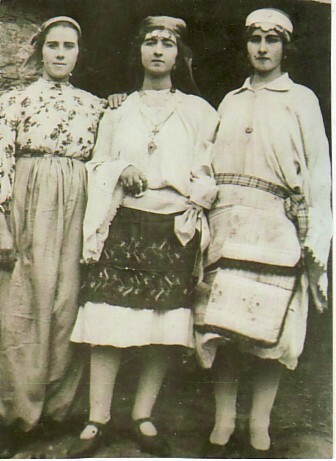 Above Right: With her sisters, Garifalanthi (middle) and Anna (right); dressed for the Apokries Carnivale. 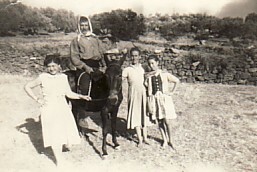 Above: With her husband, Efstratios, and their daughters, Stavritsa (top) and Efrosini (bottom). 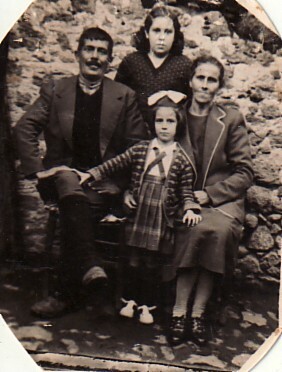 Above Right: At the family field in Mosna with her sister, Maria (on the left and who is visiting from from the U.S.A), her husband and daughter, Efrosini. Above: Her three sisters at the Mytilenian House, Canterbury. Anna, who is visiting from the U.S.A, Irini and Garifalanthi are fourth, five and six from the left respectively. 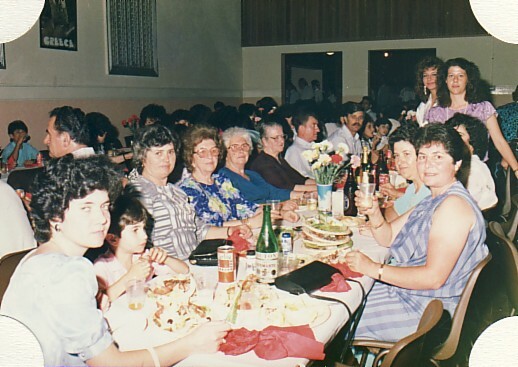 Above Right: Celebrating her 100th birthday at St Basil's Homes, Sydney. 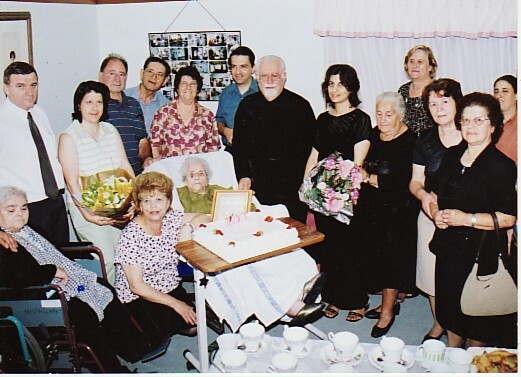 Her grand-daughter, Anna Douroudi, sons-in-law, Stratis Arvanitakis and Panagiotis Douroudis and her daughter, Efrosini are second, third, fourth and fifth from the left respectively. 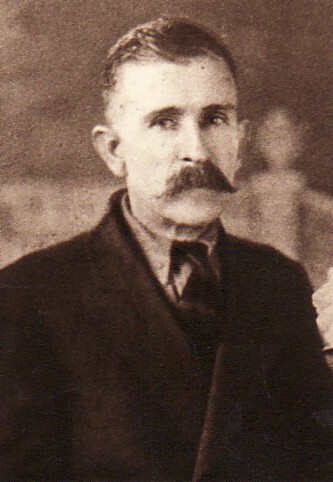 Compatriot, Stella Ersetelos (nee: Stavrinos) is on the right.